DESNOS / BRION - Partie de L'Afrique..
Map maker : DESNOS / BRION. Size : 11.0 x 18.9 inches. / 28.0 x 47.9 cm. 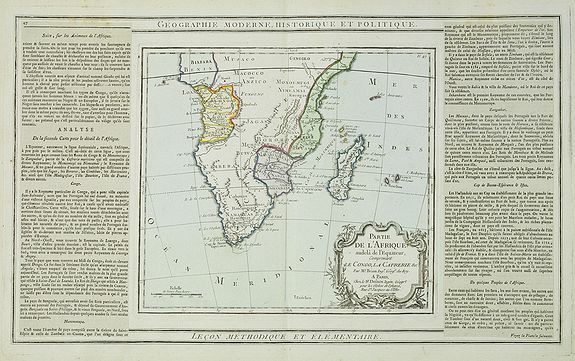 Description :Map showing Southern part of Africa. Left and right box with geographical information for each part country on the continent.